Now we would like to introduce you to the heart of our hotel: the Champagne bar. Here you will find a wide selection of Champagne to satisfy all preferences. We have selected for you the best brands to delight your palate and provide a moment or two of delightful relaxation. Installed on the ground floor, this bar is a place of warm conviviality which welcomes both guests of the hotel and also Champagne lovers from near and far. Welcome to the basement of the hotel, a place with a fresh, warm and charming ambience. The hotel offers wine courses so that you can find out all the secrets of Champagne and learn to recognise the different grape varieties. This very informative moment of conviviality will be a key aspect of your stay at the Hotel Les Bulles de Paris. Note that it is possible to opt for a private session in the tasting salon and that special events are held on a weekly basis. An unique event dedicated to Champagne in a privilege atmosphere! On the occasion of tastings hosted by Sylvie Schindler, passionate oenologist and specialist of champagnes; you will discover an exclusive selection of a pair of champagnes at the Bulles de Paris’ bar. 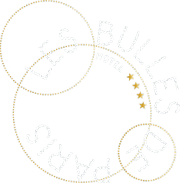 Live a new experience at Hotel Les Bulles de Paris. Only for you, a unique moment of tasting with Sylvie Schindler, the oenologist specialist of the Champagne. The occasion to discover the secrets about the best champagnes and the privilege to participate to a private tasting, for two. She will describe the selected champagne, will reveal you the characteristics to appreciate them better. For a unique exchange and a meeting with the oenologist, exclusively at Les Bulles de Paris ****. On reservation only.